Ever thought of illustrating a scene from a beloved children's book with ZDough? It's a great way to get the whole family in on the fun of talking about great children's literature and playing with play dough. Bring your favorite characters to life! Tell new stories with them! Remember, we're not shooting for perfection here. Have fun. Enlist the help of your kiddos. Talk about what books you love and how you could make them come alive while playing with play dough! Once you've created your scene just snap a picture and post it on Instagram with #zdoughbookscenes and #zdough. I'll repost my favorite entries and will send out a mystery gift to one lucky participant each month!! Will ZDough Hippity Hop into your Easter Basket? Easter is coming early this year! To help you prepare your baskets use coupon code HIPPITYHOP for 10% off all orders placed by March 11. Whether you choose one mini tin per basket, try out one of our new varieties or spring for a gift wrapped set, your order will arrive ready to delight your whole family! Please remember that Pre-Orders are always welcome. If you want to order early for a holiday, birthday party or special event (and check something off of your to-do list! ), just specify when you'd like to receive your order in the Message to Seller area. There is no extra charge for the pre-order service and means that your ZDough will always arrive fresh! A good rule of thumb to remember is that ZDough should be played with within one month of receiving your order. It is chemical-free, and while we can usually keep ours for several months when it is played with regularly and stored in the tin provided, it does not like to sit unopened! That is when you'll notice it start to dry out. So if you choose to order early just specify your requested delivery date and you'll have fresh play dough to enjoy!! ZDough is releasing two new varieties and a new set! Lime and Orange oils provide the scents for these two newcomers and give off a naturally citrusy aroma when you knead the dough. Both varieties are available in the mini and 8 oz tins, and they're both included in the new Superhero Set as well. POW! The Superhero Set is similar to the tremendously popular Rainbow Set, with its six 2.5 oz tins and gift wrap included. The varieties featured are: Strawberry, Orange, Lemon, Lime, Blueberry & Black Cherry. The box is embellished with kiddo superhero washi tape that I just cannot get enough of :) It makes a wonderful gift and is sure to grab your little one's heart! One of my favorite play ideas for February has been making Doily Impressions! We rolled out our Rose-scented ZDough and then pressed crocheted doilies into it to pick up all of the lovely pattern and texture! If you have some old doilies stashed in a drawer somewhere use those (but please, not great grandma's heirlooms! I picked up a few doilies at the craft store for a dollar.) Just use a rolling pin to create the impression. 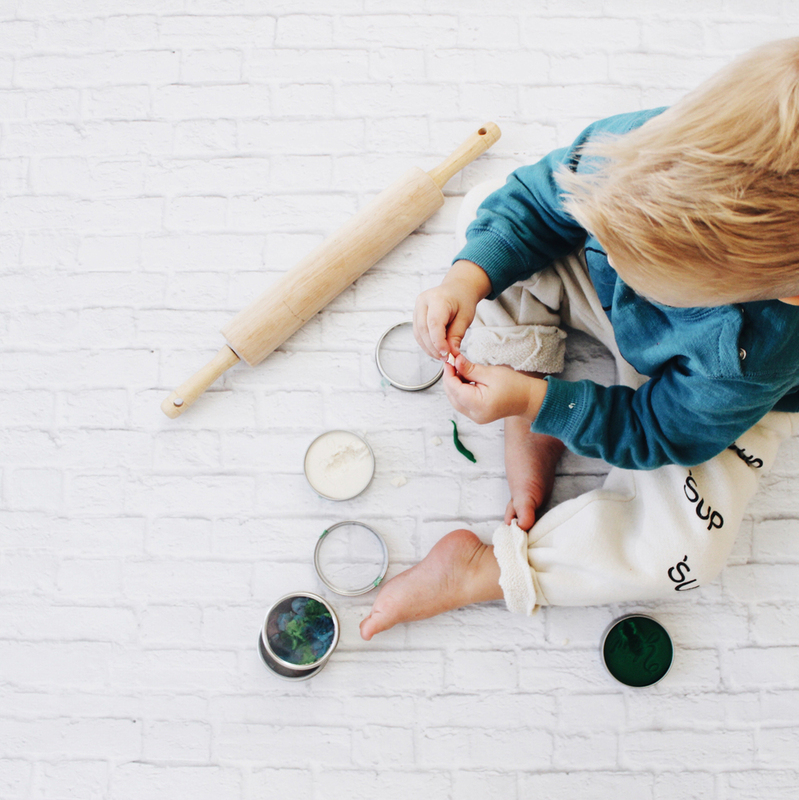 Your little ones can experiment with rolling harder or softer and using different doilies with different patterns. Peel up the doily and use cookie cutters to make patterned "cookies" or just different shapes! It makes for fun open-ended play and is a great way to investigate texture. Looking for a sweet Valentine for the little ones in your life (or all of their friends & classmates) that is high on fun and low on sugar? Look no further! ZDough Valentines are sure to please. Each one includes a 2.5 oz tin of the ZDough variety of your choice- no need to only choose pink or red!- and the adorable card comes free! Just address the card, slide in the tin and you are ready to give the gift of creative play!! I'm also thrilled to announce that I've teamed up with Sandy a la Mode for a Valentine Giveaway this week! Go to her website, www.sandyalamode.com, to enter to win 6 ZDough Valentines in the varieties of your choice :) And for those of you who want to place your order before the winner is chosen, use coupon code LITTLELOVE for 10% off all orders placed in January! I'll be taking Valentine orders until February 5 to ensure delivery by Valentine's Day, so order now!! January's ZDough variety is snowy white and smells of Peppermint. Need play ideas? Look no further! What can I do with white play dough?? 2. Jeweled snowflakes! These were made with a rolling pin, cookie cutter, snowflake stamp, beads & jewelry bits and bag twist ties- I mean it when I say "Use what you have lying around!" 4. When in doubt, mix your white ZDough with another color! See how many different shades you can make and see just how much kneading it takes to really get the color distributed (ie. tire out your toddler!) The minty scent plays well with the other aromas too. Enjoy and play on ZDough enthusiasts!! 3. What to up your game? These engraved rolling pins from Humble Elephant are sized for children's hands and pair perfectly with the dough! They combine the fun of stamps with the ease of a rolling pin and come in a variety of options from alligators & frogs to hearts & flowers. PS. They can be used in the kitchen too! Check them out at https://www.etsy.com/shop/HumbleElephant. Shop Small for Black Friday! It's here!!! The best time of the year for the BIGGEST deals before the holidays. But this year small makers like ZDough are getting into the game too! The more makers and small business owners I meet and collaborate with, the more I realize how much good can be done in our communities by shopping small. You put money into the pockets of real people who make the items you order with their own hands. We work during nap times and after kids have gone to bed. 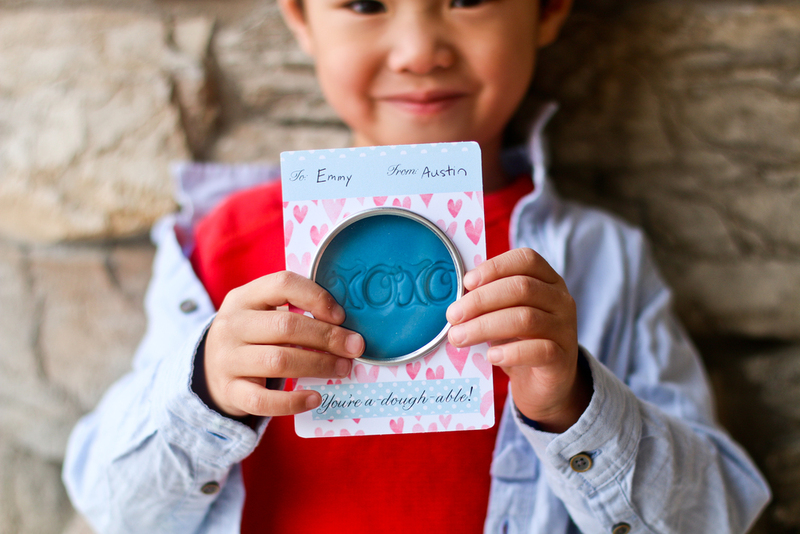 We personalize your gifts and make them for YOU, not just someone. And that money you pay goes toward our children's dance classes, endless jars of pickles (anyone else's kid obsessed with pickles?? ), and giant 50 lb. bags of flour (at least it does in my case!) We makers thank you for your support and in turn we want to make it easier for you to shop small this holiday. So for Black Friday, Small Business Saturday and Cyber Monday shop here at ZDough with the coupon code SMALLIDAY (small business holiday, get it??) With the code you will get 20% off your order and a FREE Mystery Gift! So now is the time. Click on the SHOP button and choose your favorites. Maybe you're looking for stocking stuffers. Maybe it's a gift set or two. Maybe it's a 2 lb pail for your child's class. Need a custom order? You're in luck, because I do all of that. And I'm happy to help this holiday be special for you! The coupon code is valid from Friday, November 27 - Monday, November 30. Happy shopping!! It's Holiday Gift Guide Season! 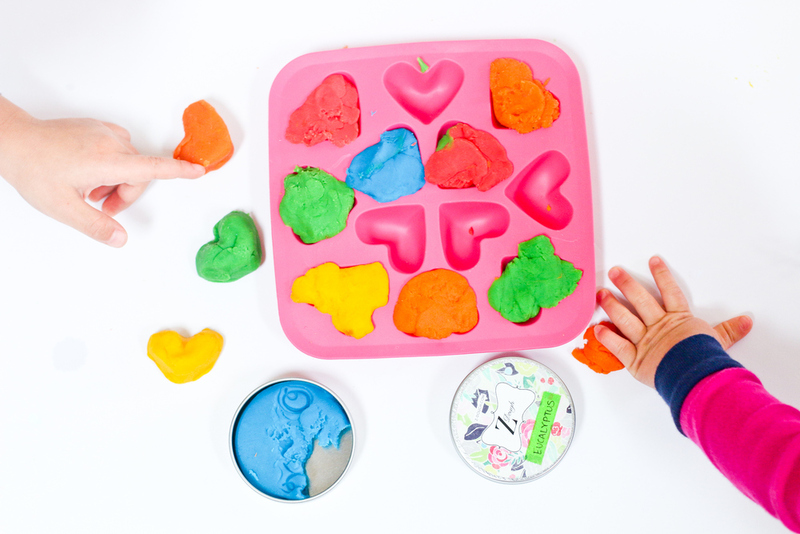 "My kids hyper-love play dough. We play with it nearly every day and I usually make it home made ourselves…but then I found ZDough. I kid you not- this is the BEST play dough we have ever used. It’s super pliable, smells amazing, and lasts far longer than store bought dough. I have to feature it in this brain-stretching gift guide because when you give kids a ball of play dough, their imaginations go wild! I can’t even begin to count all the ways we use this stuff! This is a must-have stocking stuffer item for sure. Learn more about our favorite play dough here. ** Right now you can enter the code “yay10” for 10% off your order! Holiday shipping is also available to ensure your dough will be fresh, soft, and in time for wrapping!" She is also hosting a GIVEAWAY for several of the items on the gift guide list, and ZDough is among them! We'll be giving away a Christmas ZDough set which includes 8 oz. of Spiced Cranberry and Vanilla Mint scented play dough along with a set of mini letter stamps. It comes gift wrapped and personalized as well, so it's totally ready to head right under the tree! Enter now through the link above!! ZDough Stocking Stuffers: The 2.5 oz. ZDough mini tins are rarely offered individually, but around the holidays I've made an exception. These make the PERFECT stocking stuffer, and this way you can buy just the number that you need. You can choose from any of the regular varieties as well as the Christmas varieties described above. I've rolled out a new option for holiday orders this year. If you'd like to place your order now (and get a few things off your To Do List!) you can elect to have your ZDough made and shipped in early December so it will be at its most fresh and fun for the holidays. Just write HOLIDAY SHIPPING in the Note to Seller section. 1. Construction Zone! For every kiddo who loves cars, trucks, and diggers, brown play dough is for you. Spread it out on the table, mold it into mountains, and you're ready to play! Enjoy making tracks with different toys, moving the dough around your construction site, or even excavating fossils. Plus, cinnamon smells a whole lot nicer than dirt! 2. Make a teddy bear! Set out a rolling pin and bear cookie cutter and let the decorating begin. Googly eyes (a personal favorite), buttons, string, and foam pieces all work well in the dough and provide kiddos with infinite options to make (and remake!) the bear of their dreams. 3. Turkeys! Mould and pinch your dough into a turkey shape and decorate with feathers, googly eyes, and anything else that comes to mind! Putting a few utensils on the table will also give your child the chance to make lines and patterns in the dough. Gobble gobble! 4. Don't have time to make gingerbread men? Give your little one the opportunity with a mound of Cinnamon ZDough, rolling pin, cookie cutter and loose parts. Pom poms work well in the dough as well as pipe cleaners. The options are endless- just make sure you take into account your child's age and developmental stage. If they're still putting everything into their mouths than small loose parts will have to wait! Hopefully this gives you plenty of inspiration for your brown play dough. Remember to send any pics of your ZDough creations to kira.zdough@gmail.com to receive a 10% off coupon. They may even be featured on the blog and social media! Have you heard the good news? This coming week ZDough will be featured as a seller on Jane.com! The Fall Seasonal Set, which includes 8 oz. of Caramel Apple, Pumpkin Spice & Cinnamon scented play dough, is available for more than 25% off! And here's a little insider tip: if you buy two or more sets they ship at the same flat rate. If you're looking to get the jump on holiday shopping or fill your Thanksgiving table with handmade favors for the little ones, this is the time to buy! With just a few simple materials even the younger kiddos in your family can enjoy decorating a pumpkin this fall- ZDough pumpkins! Pumpkin Spice ZDough is a customer favorite with its bright orange hue and warm cinnamon, vanilla, and pumpkin scent. Your little ones will love rolling it out into a pumpkin shape with a mini rolling pin or just by using their hands. Then set out a dish of shapes cut from black foam sheets and let the jack-o-lantern creation begin! I used different size triangles, diamonds, circles and squares (with a few googly eyes thrown into the mix!) so Z could make and remake her jack-o-lanterns to her hearts content. It's a great way for children to play with and name shapes and try to use them to create pumpkins that show different emotions too. ZDough jack-o-lanterns provide all the fun of decorating a pumpkin without having to mess with those pesky knives :) Try it out and remember to send a pic to kira.zdough@gmail.com to receive a 10% off coupon on your next order! Attention Madison, WI locals: ZDough's handmade scented play dough is now being carried at Wild Child, one of the areas premier shops for children. They specialize in organic, natural and fair trade clothes, toys and gifts, which is why ZDough is the perfect fit. They even sell adorable wooden play dough tools that would pair well with ZDough and make a special gift! Shop local and support our community!! Is it me or are you getting a lot of birthday invites this time of year? We've been to parties the last two weekends in a row, and it's been inspiring a lot of card-making (on the part of my daughter) and ZDough production (for me!) It also gave me the idea to put together a little party throwing guide to make the process simpler and more fun, whether you're a guest or the host. Now if you're the lucky duck throwing the party, you may be thinking, "What am I going to have all these kids DO while they're here?" Well rest assured because I've got you covered! The 2 lb. pail of ZDough packs enough play dough for 8 kids to play at one time. Just order your favorite variety, find a low table the guests can gather around, set out a few tools or toys for kiddos to use in the dough, and let the fun begin! The tools and toys can go with the theme of the party, if there is one, or just provide the little ones with different options in their play. I recommend wooden toys, stamps, and rolling pins, like the Humble Elephant pins pictured above, as a starting point. The best part? Kids and adults of all ages can enjoy the activity, there is no right or wrong way to play, and no one needs to be policing what happens at the table (aside from watching that one kid who always wants to nibble more than play... That's what the snack table is for! Remember ZDough smells amazing but is not tasty!) If you're feeling ambitious you can also send each guest home with a mini tin of ZDough as a favor. It will keep their creativity going and definitely beats a trip to the dollar store for plastic stuff! And if you are a party-goer, it's even simpler! ZDough gift sets make an easy and thoughtful gift. They even come gift wrapped, and I'm happy to personalize by stamping names or short messages into the dough! And to all of you Madison locals, while I make ZDough to order I do usually have some lying in wait if you need a gift at the last minute. Reach out because I can usually pull something together! So remember, all a good party needs are people you love, some food and drink, and something for the little ones to do so they channel all of their party energy in positive ways ;) Hopefully at your next party you and your guests will have a ball! L & M's ZDough Wedding! Ok, perhaps it's not just about the ZDough, but I could not be more excited about being a part of L & M's big day today. When I heard they were interested in ZDough wedding favors, the first thought that came to mind was, "This is going to be the most fun wedding ever!" From their gorgeous location on a working farm, to the opportunity for their guests to camp there over the long weekend, to the obviously lovely couple, everything about this day reads memorable, light-hearted, and filled with joy. L & M, I wish you all the best on your big day and in the many happy years to come! Now, for those of you interested in how 100 personalized, eucalyptus and wintergreen-scented ZDough wedding favors come together, check out the little slideshow below! Right now, I'm looking forward. I hope to make big things happen this year by growing my business. I'd like to partner with local businesses here in Madison and have been so happy to continue the work I was doing with entrepreneurs in Connecticut. Bigger orders are coming my way and the smaller orders for birthday gifts, holidays, and "just because" occasions are keeping me on my toes. Here's to a happy autumn! To say thanks to those of you who have supported my business already and to welcome newcomers, ZDough is having a sale this long weekend. Enter code LOOKINGFORWARD for $5 off your purchase of $20 or more. It's the perfect time to order those gifts you've been meaning to get for upcoming parties or try something new that you and your kiddos are sure to enjoy. Sale ends Monday, September 7th!